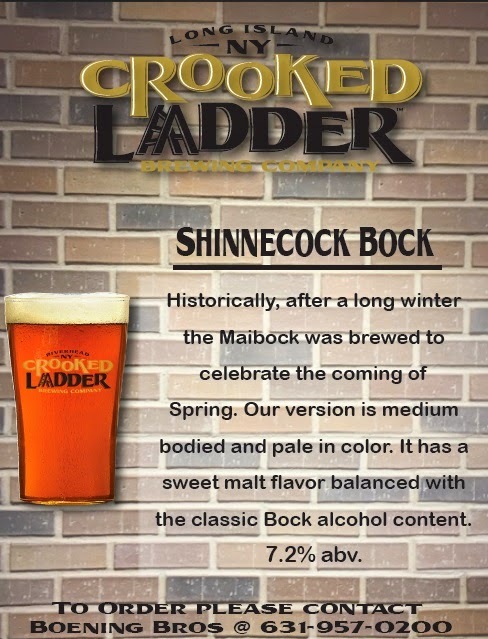 New for spring, Shinnecock Bock. Brewed right in Riverhead Long Island New York. This beer is draft only and will only be around for a limited time. Get it while you can.